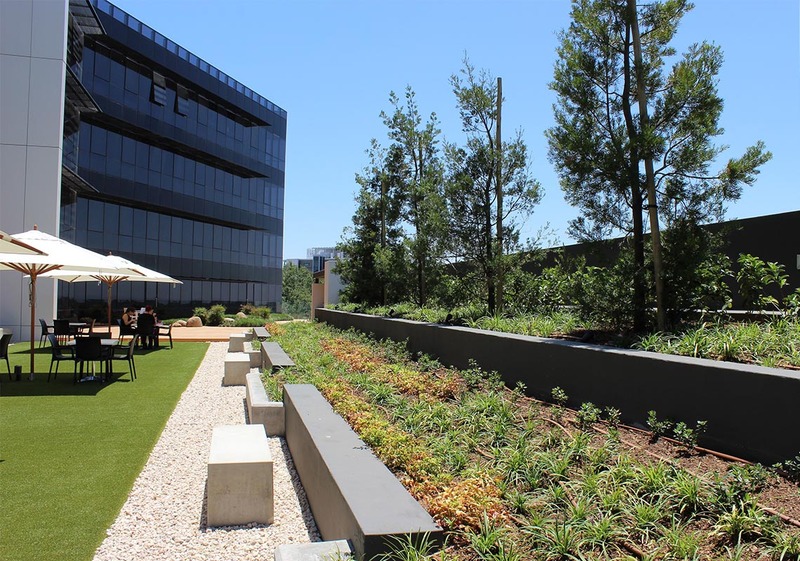 Currently, this project has been certified for 4-star Green Star SA office v1 Design and As-Built. 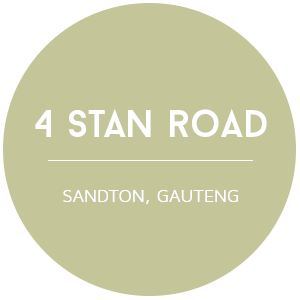 4 Stan Road is a boutique office development in the heart of Sandton. 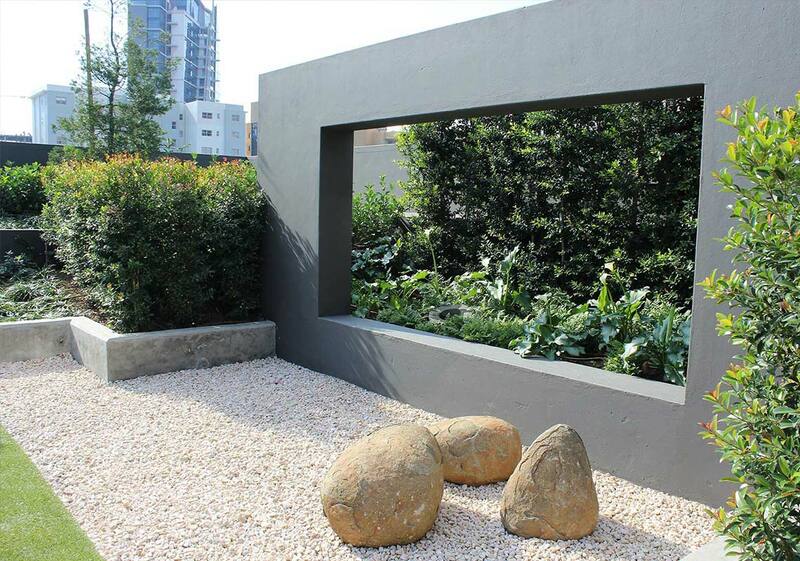 The landscape has been designed and developed on behalf of Bertha Wium Landscape Development. 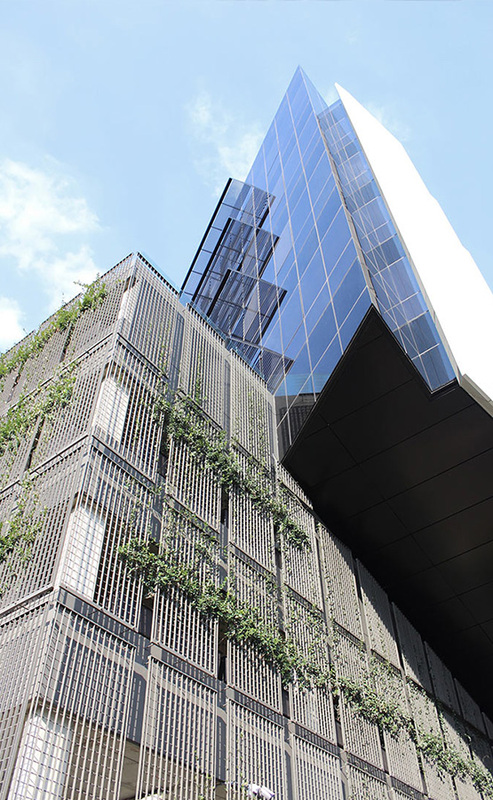 Aboveground parking is screened on the northern and western façade by use of loose standing planters on each parking level, trailing Star Jasmin onto mentis grating panels installed onto the façade. 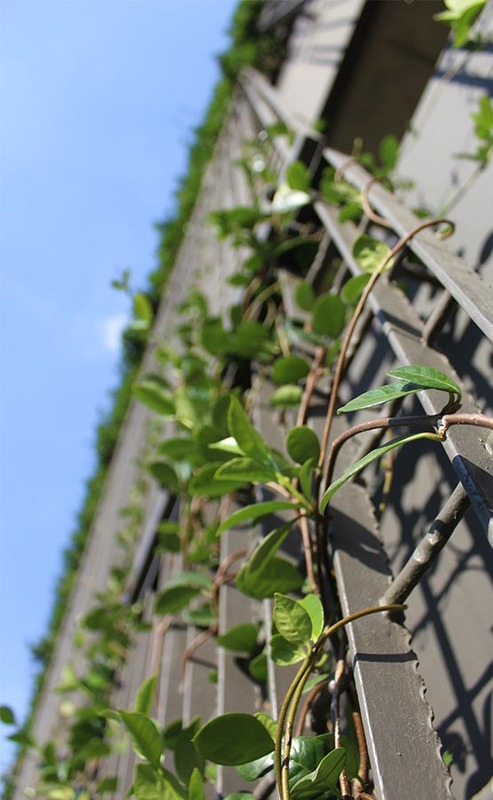 Once the planting has fully covered the façade it will appear as if the building is wrapped by a large green wall. 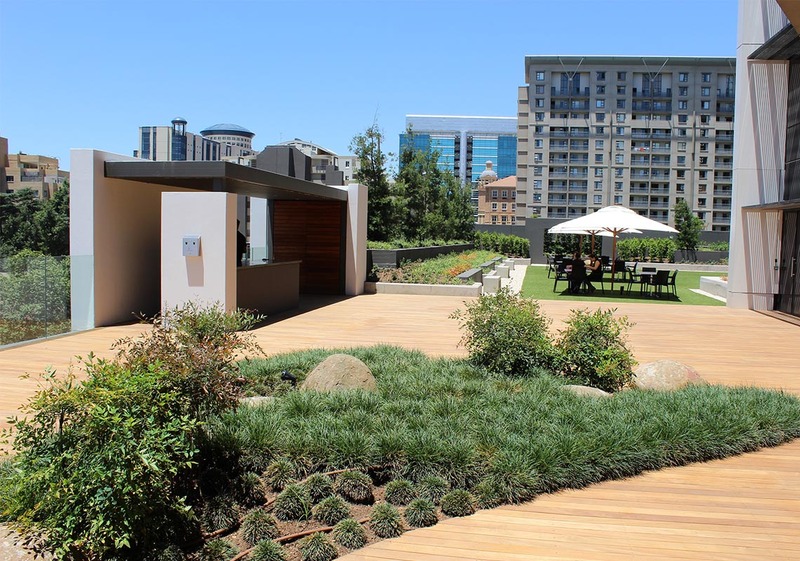 The glazed street level entrance is passively cooled by a forest of large deciduous Leopard Trees, with strong linear planting lines cutting into the lawn. 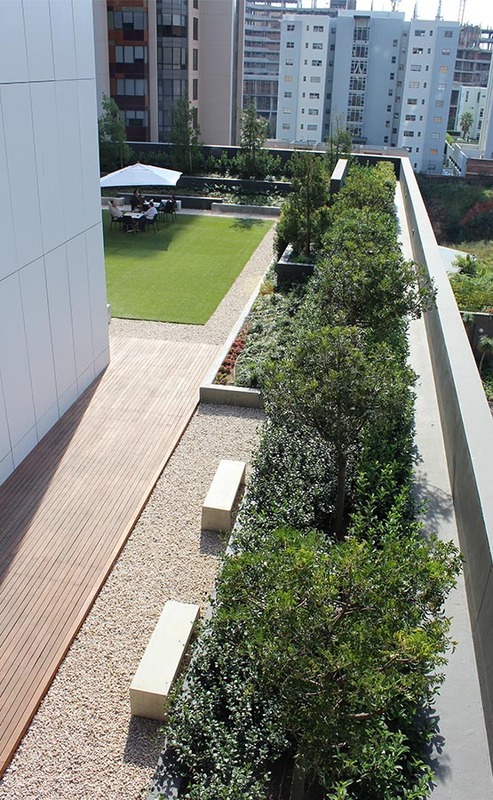 These planting lines will be shaped into slanting hedges to accentuate the almost solid angular wall along the western façade. 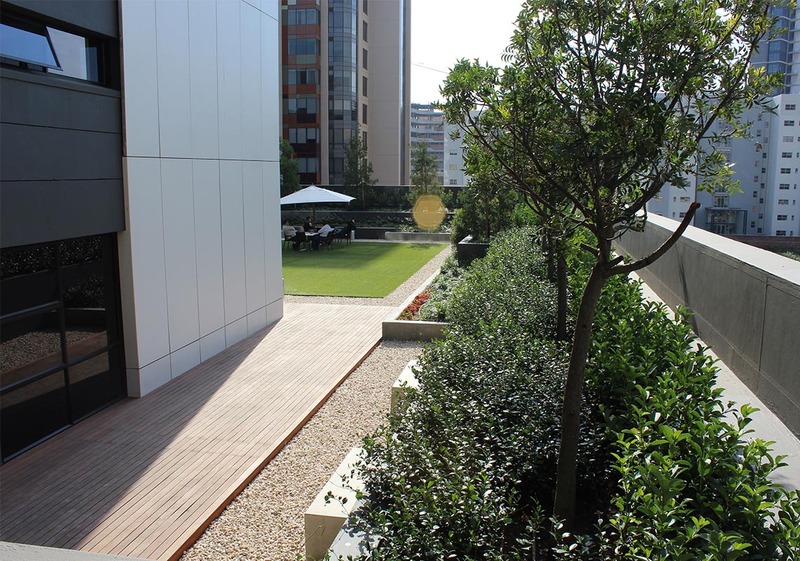 North facing offices look out onto a landscaped deck, accessible to the building tenants. 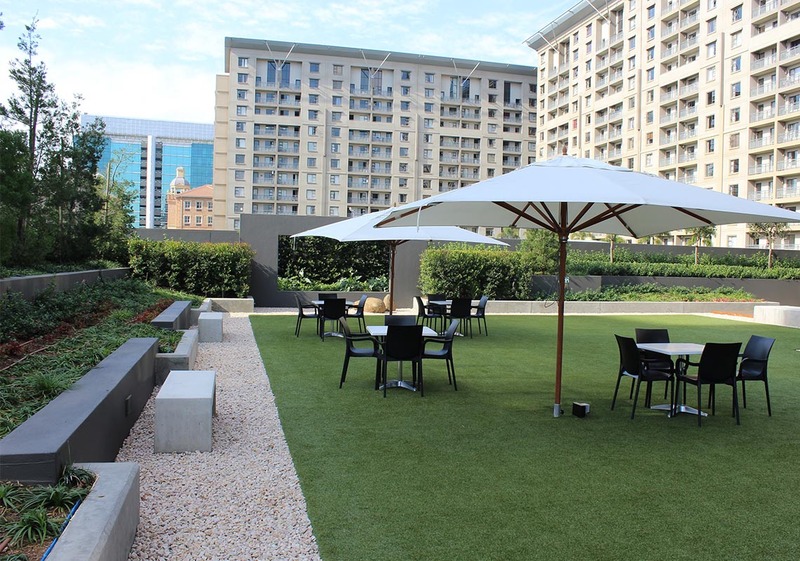 A sanctuary is created in the busy city skyline where users can break away and enjoy the beautiful views that Sandton has to offer. 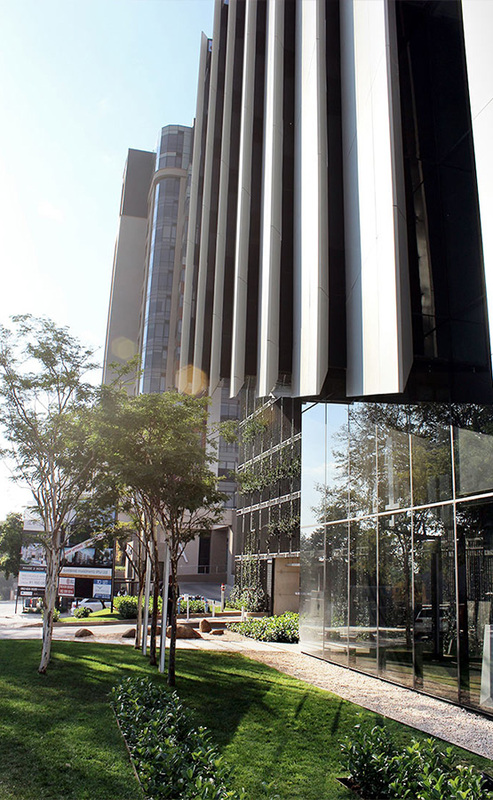 Currently, the project has been certified for 4-star Green Star SA Office v1 Design and As-Built.